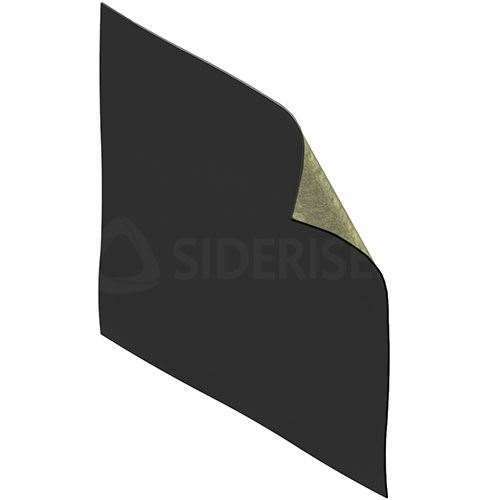 An acoustic barrier mat combining a high surface mass with ‘limp’ mechanical characteristics, SIDERISE BM1060 Acoustic Barrier Mat offers optimum acoustic performance. SIDERISE BM1060 is used in many varied applications and industries including construction, marine, automotive, and OEM. Common construction applications include: high performance wall and partition constructions; overlays to timber intermediate floors; cladding to external ducts/ pipes and for temporary screens on construction sites; ducts/ pipes and for temporary screens on construction sites. Some applications use the product as a component layer within a bespoke SIDERISE composite material. The barrier is then optionally combined with sound absorbents, spacing layers, facings and self-adhesive backings. For product advice please contact our Interiors technical team. Note: This product was previously known as Lamaphon BM1060 acoustic barrier mat.